This Financial Times Op-Ed piece by Lakota Language Consortium CEO Wilhelm Meya shines the light on the fight to save and reclaim Native American languages. Online alternative news source Truthout analysed the state of Lakota language efforts in 2012..
A sidebar in the Cultural Survival Quarterly article “On the Brink” by Jacob Mannatowa-Bailey, Director of the Sauk Language Department for the Sac and Fox Nation in Oklahoma, utilizes LLC’s explanation of how Lakota expresses words and concepts differently than in English. South Dakota magazine shined a spotlight on the movement to fight the decline of the Lakota and Dakota languages by creating a new generation of speakers in 2009. Bloomington's monthly magazine profiled LLC and Wilhelm Meya in their March 2013 issue. The Bismarck Tribune covered LLC's work with Sitting Bull College and the University of South Dakota in 2010. The National Indian Education Association featured an article on Lakota language and the Consortium's work by LLC founder Wilhelm Meya in its Summer 2009 issue. The United States Embassy in Prague hosted an American Indian Workshop in 2010. LLC's own Jan Ullrich was the keynote speaker..
National newswire services have reported on the Lakota tribes efforts to save their language and LLC's work for over a decade. LLC's good friend Albert White Hat, who was instrumental in teaching and preserving the endangered Lakota language, passed away on on June 13, 2013. His life and work was memorialized in featured stories around the country. The Washington Post online published an obituary on June 23rd, 2013. Johnson Holy Rock, one of the founders of the Lakota Language Consortium and a board member from 2004-2008 passed on in January 2012. 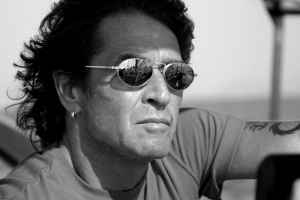 His absence is a great loss to the community and the Consortium. The fall of 2011 saw the long-awaited release of Matȟó Waúŋšila Thiwáhe, the Lakota Berenstain Bears project. The response to the project exceeded all expectations. The release saw heavy press coverage. Some great online coverage came from Time Magazine Newsfeed , the Huffington Post, and Rachel Maddow’s blog. Click the logos below for all the stories. 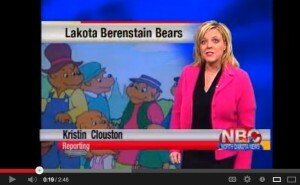 Both the production and the premiere of LLC's largest media project to date, The Lakota Berenstain Bears, was featured on television news. 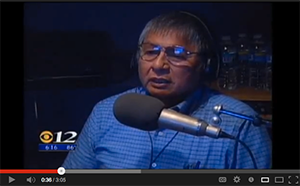 In June of 2013, the New Lakota Audio Dictionary recording got underway. The speakers who recorded the dictionary say they're honored to be part of a project that could save their language.. The Lakota Summer Institute is the premier Lakota and Dakota language teacher and learner event in the country. Since 2007, over 250 teachers and hundreds of learners from more all over the world have participated. LSI was featured on Native Sun Today's news in 2016 for the 10th anniversary. Find hundreds of wonderful photos that tell LLC's story in our News Image Library.